Giancarlo Fisichella romped to victory from pole after teammate Fernando Alonso was mired in seventh on the grid following a fuelling issue during qualifying. Alonso recovered to second by the end but ran out of time to catch his teammate, who took his third and (as it turned out) final victory. 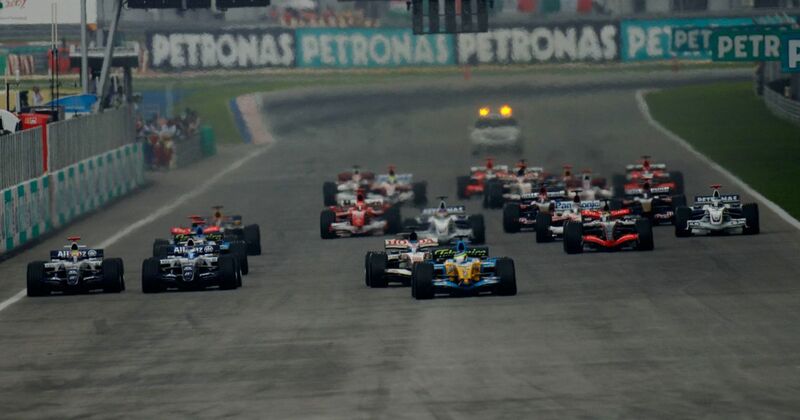 Both Ferraris had to start way down the order after engine penalties - Michael Schumacher 14th, Felipe Massa 21st. Both made it up into the points but surprisingly, in just his second race for Ferrari, it was Massa who came home ahead despite starting lower - he finished fifth, Schumacher sixth. Jenson Button joined the two Renaults on the podium. Incredibly, in all of Renault’s history, this was only the second (and to date, last) time the team managed a one-two - the previous one was way back in the 1982 French GP. For Fisichella, he’d once again started the season strongly but over the course of the year found himself unable to quite match Alonso - just four more podiums during the season meant he ended up fourth in the championship. Vern Schuppan (born 1943) should have made his debut for BRM in the 1972 Belgian GP, only to have to give up his car to teammate Helmut Marko before the race. Schuppan eventually made his actual debut for Ensign in 1974, did a single race for Hill in 1975, and then drove a few races for Surtees in 1977, where he achieved a career best of seventh in the German GP. Nicola Larini (born 1964) began his F1 career with Coloni in 1987 and then spent a few years racing of Osella, Ligier and then Modena, where he was a frequent victim of the dreaded pre-qualifying. In 1992 he became a Ferrari test driver which resulted in a few outings for the Scuderia. He did the last two races of 1992 after Ivan Capelli was sacked, and then replaced an injured Jean Alesi for two races in 1994, scoring his first career points with a second place during that ill-fated weekend at Imola. In 1997 he returned full-time, this time with Sauber, but left after five races after falling out with team boss Peter Sauber.